Since ancient times women have been obsessed with their hair. Cleopatra washed hers with donkey’s milk! Today, for many women, hair is high maintenance. Because how you wear your hair defines who you are. And finally, there is a day to express your love for your hair — National Hair Day on October 1! NuMe created this day for people to celebrate hair styling tools and products. But you can celebrate it any way you like. As long as you care about your hair! ​Sun-kissed beachy waves were the popular look and women had several hair tools and products to create them at home or at a salon. ​Many women visited salons to get perm treatments for their hair. The famous Rita Hayworth was one of them. ​With women winning the right to vote it was time for a more liberating hairstyle: the short bob. ​Red hair locks and pin curls. When Queen Elizabeth flaunted this hairstyle it quickly became a fashion trend defining those times. Women even plucked their hairlines and eyebrows like her! ​In Ancient Egypt, people used hair gel made from a fatty substance to style their hair! A new hairstyle can make you feel powerful, in control, or like a different person. Today is the day you decide who you wanna be! Did a product, pill, or diet work for you? Share your knowledge with others on social media. People benefit by exchanging information. Book an appointment at a salon or spa and treat your hair. Healthy hair is beautiful hair. In ​Greek mythology, the monster Medusa has been described as a winged human female with poisonous snakes in place of hair. ​Surprising as it may sound, America has the largest population of redheads! Between 2 and 6 percent of the country’s population consists of redheads. ​Keito, a Japanese teen, holds the record for having the longest hair ( 155.5 centimeters) on a teenager. She has never cut her hair in her life! ​Unmarried Fulani women of West Africa dress their hair with small amber beads and coins — while married women wear large amber ornaments. 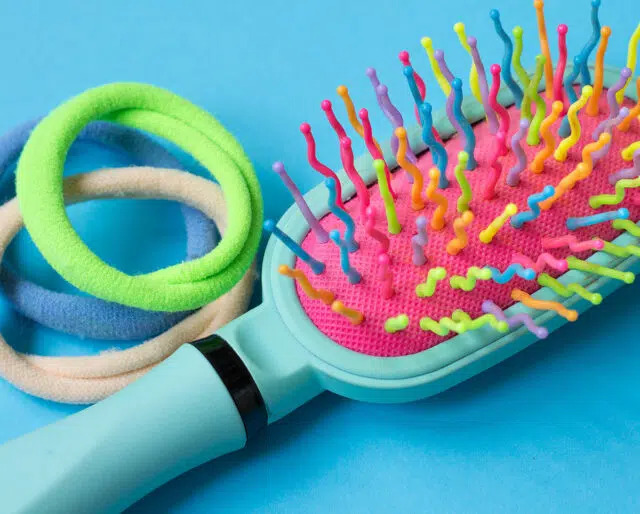 People always freak out when they see a few strands on their brush. Fact is, a person can ​shed between 40 and 150 strands of hair a day! It's a day to break the monotony and do something fun with your hair! And many men too! So it's great that we have a day to celebrate our hair. Another reason to take a trip to the salon — sounds good!